If current trends continue, the eastern half of the US is in for one extraordinary winter. Just last week, a strong late-fall Arctic warming flushed chill air out over the Great Lakes, setting off a lake effect snowstorm in Buffalo that buried the city in one year’s worth of snowfall in just two days. This week’s extreme weather prelude brought a major warm snap that set off rainfall, sent temperatures surging to 62 degrees in Buffalo and pushed rivers in the area above flood stage. An odd northward hot air surge ahead of the next blow. One that will be fueled by a similar, out of the ordinary, Arctic heat-up that is predicted to fling a freakish Thanksgiving snowstorm at the US East Coast on Wednesday. A storm that may dump more than a foot of snow along a swath from Virginia to Maine and set off blizzard-like conditions as a low pressure rapidly intensifies in a raging storm track torching away off the New England Coast. Such major predicted and potential snowfall amounts are more reminiscent of a significant January event than what is typically seen for a Thanksgiving period which usually features cold placidity. But this Thanksgiving is predicted to be anything but placid as coastal gales and record-challenging snowfalls are likely to sock holidayers in and generate travel snarls throughout the Mid Atlantic and Northeast. The spurs to this most recent Arctic invasion are two high amplitude Jet Stream Waves — one over Alaska and one near Svalbard. Together, these upper level flows are pulling yet more warm air into an already warmer than normal Arctic. These invasions coincide with yet another form of upper level warming — Sudden Stratosphere Warming (SSW). A kind of warm air catapult up from the troposphere and into the Arctic from over the Asian Continent. A combined set of conditions that is generating a baked atmospheric cake set of warming for the Arctic and driving the southern edge of the polar vortex southward over the Eastern US. Overall, Arctic heat anomalies are expected to spike as high as 3.5 C above the already hotter than normal 1979 to 2000 average by the wee hours of Sunday morning this week. A very strong warm departure for November even in the current age of human-driven climate change and polar heat amplification. Last year, similar events drove cold air invasions through the Eastern half of the US and greatly intensified the North Atlantic storm track. As a result, the UK experienced its stormiest winter on record. This year, warm waters in the equatorial Pacific and off the US East Coast may well keep the storm track oriented along the Gulf Stream. This would result in much stronger events for the Eastern US and potentially quite powerful Nor’easter type coastal storms should the current pattern persist. Heat overburden at the roof of our world. It’s a dangerous signal that the first, worst effects of human-caused climate change are starting to ramp up. And it’s a signal we are receiving now. A strong message coinciding with a world-wide barrage of some of the worst January and February weather extremes ever experienced in human reckoning. Ever since December, the Arctic has been experiencing what could well be called a heat wave during winter-time. Average temperatures have ranged between 2 and 7 degrees Celsius above normal winter time readings (1979-2000) over the entire Arctic basin. Local readings frequently exceed 20 degrees Celsius above average over large zones that shift and swell, circulating in a great cloud of abnormal warmth around the roof of the world. 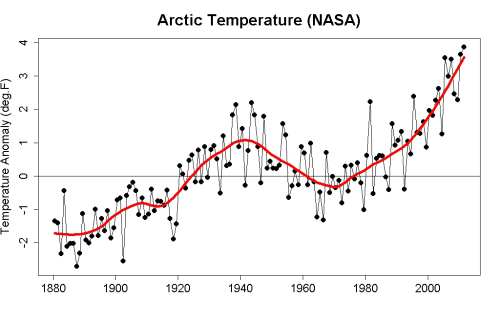 Average temperatures for the entire Arctic are 4.16 degrees Celsius above the, already warmer than normal, 1979 to 2000 base line, putting these readings in a range about 6 degrees Celsius above Arctic temperatures during the 1880s. When compared to global average warming of about .8 C above 1880s norms, this is an extreme heat departure that places the Arctic region well out of balance with both its traditional climate and with global climate at large. Local large hot zones with temperatures ranging between 10 and 20 degrees Celsius above average appear east of Svalbard, in the Arctic Ocean north of the East Siberian Arctic Shelf, and over a broad swath of the Canadian Arctic Archipelago. These zones of warmth are as odd as they are somewhat horrific, creating regions where temperatures are higher than they would otherwise be in April or, in some cases, late May. This ongoing condition of extreme Arctic heat is a symptom of overall Arctic amplification set off by a number of strong feedbacks now underway. 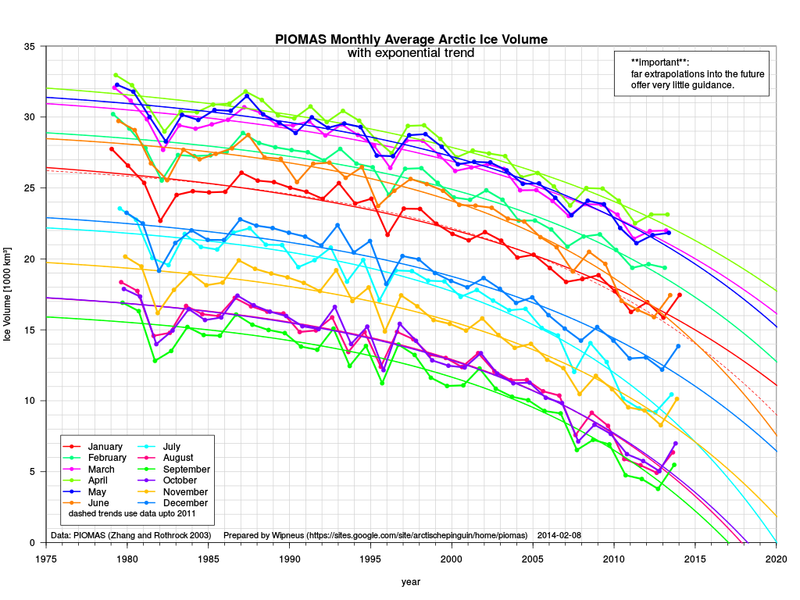 These include sea ice measures that are currently at or near record low values (February saw new record lows in both extent and area measures) as well as a large and growing local emission of greenhouse gasses from polar stores long locked away by the boreal cold. Arctic geography also contributes to the problem as a thinning layer of sea ice rests atop an ocean that is swiftly soaking up the heat resulting from human warming. During winter time, the combination of thin sea ice, warm ocean, and higher concentrations of greenhouse gasses generates excess warmth over and near the Arctic Ocean basin. The warmer waters, having trapped solar heat all summer long, now vent the warmth into the polar atmosphere through the sparse, cracked, and greatly diminished sea ice. And while this increasing heat imbalance has been shown to be lengthening the melt season by 5 days per decade, it is also stretching its influence well into winter time as ocean heat now continually bleeds through a thinning and ever more perforated layer of sea ice. 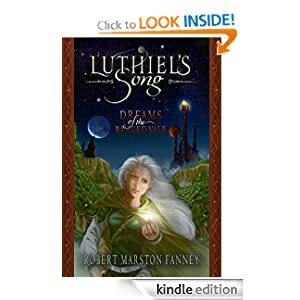 Other effects include an overburden of greenhouse gasses trapping long wave radiation to a greater extent in the polar zone while the already warmer than usual condition creates weaknesses in the Jet Stream that generate large atmospheric waves. 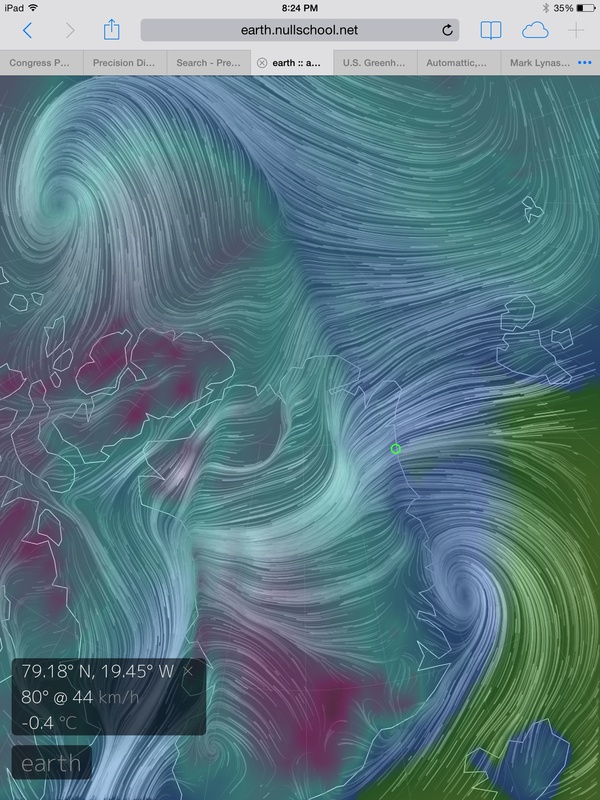 The south-north protrusions of these waves invade far into the Arctic Ocean basin over Svalbard and Alaska, transporting yet more heat into the Arctic from lower latitudes. 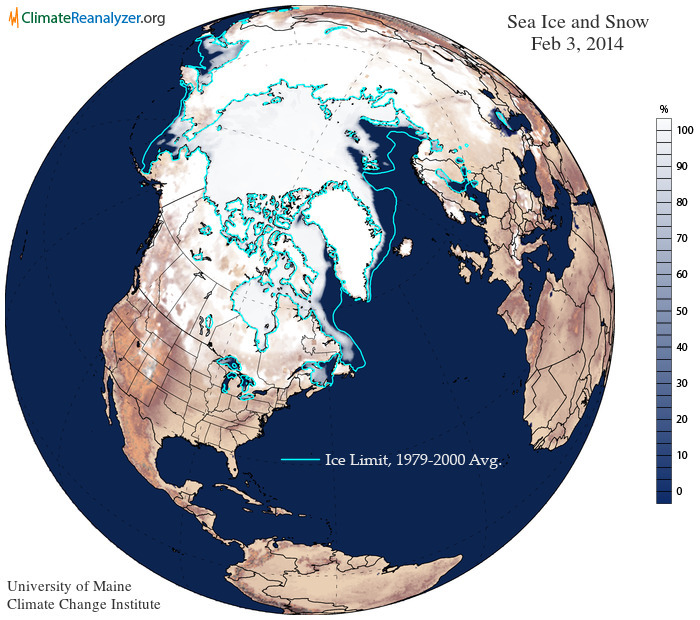 The net effect is the extraordinary Arctic warming we are now seeing. 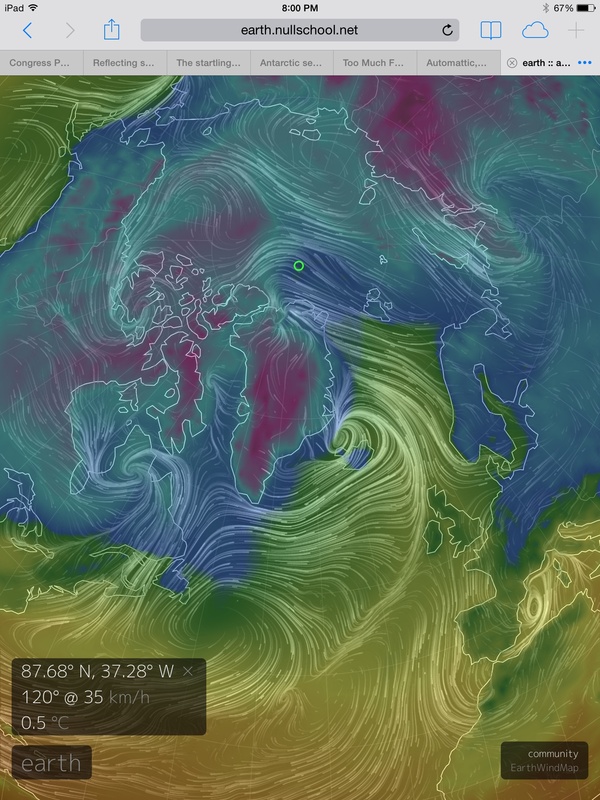 This rapidly increasing warmth at the Arctic pole generates a variety of weather instabilities that ripple on through the Northern Hemisphere. Meanwhile, the ongoing impacts of equatorial warming or such warming in concert with the far-flung effects of polar amplification and an increase in the hydrological cycle of about 6% are causing a number of extraordinary events over the Southern Hemisphere. In short, the barrage of extreme weather is now entirely global in nature. A brutal if amazing phenomena directly associated with a human-heated climate system. Over the western US, Canada, and Alaska, a Jet Stream ridge that has persisted for a year has generated both abnormally warm conditions for this region, with Alaska experiencing its third hottest January on record, and an extreme drought for California that is among the worst in its history. This drought is now poised to push US food prices up by between 10-15 percent as California officials are forced to cut off water flows to farmers. Only the most powerful of storm systems are able to penetrate the ridge. And the result, for the US West Coast, is a condition that either includes drought or heavy precipitation and flooding events. 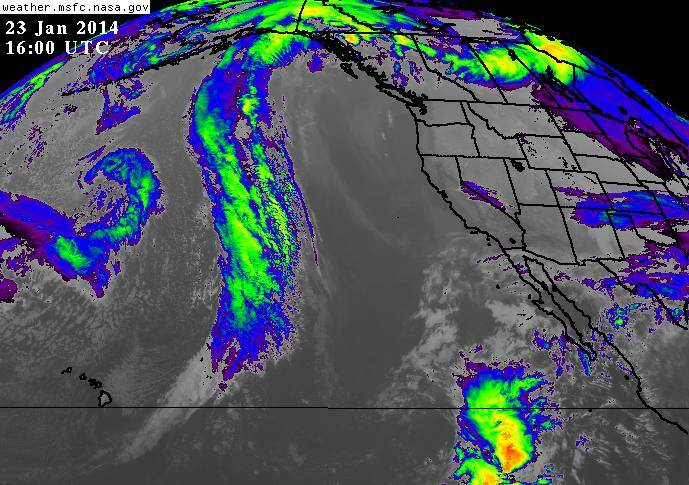 A condition that became plainly apparent as winter storm Titan dumped as much as 5 inches of rainfall over drought-stricken southern California, setting off landslides and flash floods that sent enormous waves of water and topsoil rushing down roads and gullies alike. And though the storms came, the drought still remains. Added to the list of extremes for the Western US are a number of early starts and/or late ends to fire seasons with California, Arizona and New Mexico all experiencing wildfires during the period of December through February. Moving east, we encounter the down-sloping trough that is the flip side of the ridge bringing warmth and drought to deluge conditions to the west. So, for the Eastern and Central United States, we see the transport of chill air down from the Arctic Ocean, over Canada and deep into a zone from The Dakotas to Texas to Maine. As a result, we have seen winter storm after winter storm surge down into these regions, dumping snow, ice, and heavy rain while occasionally coming into conflict with Gulf warmth and moisture to spark tornadoes and thunderstorms over snow-covered regions. One cannot separate the warm air invasion over Alaska and the heat radiating out of the perforated sea ice from the numerous polar vortex collapse events that have led to this extreme winter weather over Central and Eastern parts of the US. And so, it is also impossible to ignore the warping and deleterious impacts of human-caused climate change on the world’s weather. In the winter a deep reservoir of cold air becomes established through the atmosphere over the Arctic because of the lack of sunlight. This is usually held over high latitudes by the Jet Stream, a fast moving band of air 10 km up in the atmosphere which drives weather. This year, a “kink” in the jet stream allowed the reservoir of cold air to move southwards across the USA. A blocking pattern meant it was locked into place, keeping severe weather systems over much of the Eastern United States extending down to northeast Mexico. For as we look yet further East we come to a North Atlantic Ocean that has been little more than the barrel of a gun firing a two and a half month long barrage of storms at England and Western Europe. For the Jet Stream, at this point, is intensified by Arctic air fleeing from a warming north coming into contact with the also warming waters of the North Atlantic. In this region, the planetary wave feature developed with severe and lasting consequences for England, France, Portugal and Venice. The upshot was the wettest period in over 250 years for England as well as the windiest period since at least the 1960s. During February, two of these storms generated 80-100 mph winds and waves off Ireland and the UK that were the highest ever recorded for this region. 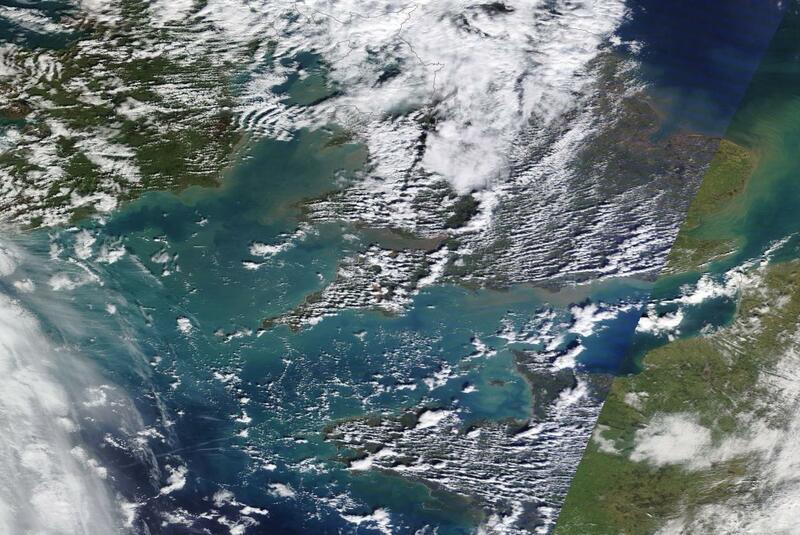 Meanwhile, the powerful storm surges associated with these storms reshaped the English coastline, uncovered bombs dropped during World War II and unearthed the stumps of an ancient forest that spread from England to France before it was buried in the floods of glacial melt at the end of the last ice age. The battering continues through early March with England suffering losses in excess of 1 billion dollars. The storms ripping across the Atlantic also resulted in the loss of over 21,000 sea birds and have heavily impacted France, Spain and Portugal with record rains, gales and tidal flooding. During early February, a series of gales also drove high tides along the coast of Italy and spurred flooding in Venice. As storms slammed into coastal western Europe, strange fires were also burning along Arctic shores as a very dry and windy winter sparked blazes along the coastlines of Norway. These fires, some of the worst in Norway’s history, occurred during January and February, months that have never seen wildfires before. So the strange story of flood and fire that tends to come with climate change may seem yet more radical and extreme when we include what has happened over this section of Europe during 2014. By the time we enter Eastern Europe, Turkey, Jordan, Israel and Russia we again encounter an up-slope in the Jet Stream along with related periods of heat and drought. Record highs were set throughout a zone from Germany to Slovenia to Russia. Germany experienced January temperatures that were 2.8 degrees Celsius above the 20th Century average while Russia experienced heat anomalies approaching 10 degrees Celsius hotter than normal that persisted for up to a week in length. In Turkey, farmers frantically drilled into drying lake-beds for water as both warmer and drier than normal conditions combined with ground water depletion to generate severe agricultural stress. Drought-stressed Jordan has also been forced to ration water supplies, with rainfall levels now only 34 percent of that received during a typical January and February. Abnormal warmth and drought also extended into China as most parts of the ancient empire received between 50-80 percent below average rainfall. 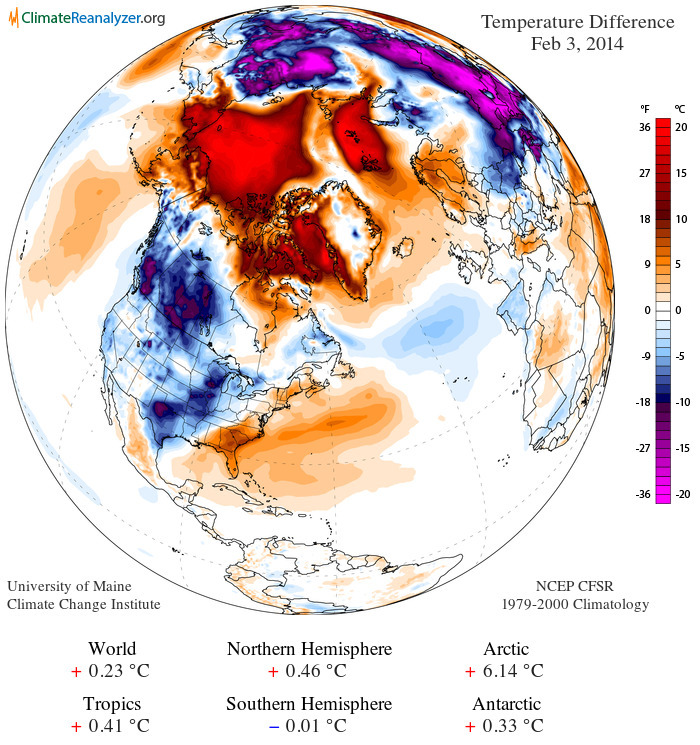 Temperatures averaged over the entire country were the warmest seen since at least 1961. The warmth and dryness resulted in record low river and lake levels across the country with China’s largest lake turning into a sea of cracked mud and grasses. 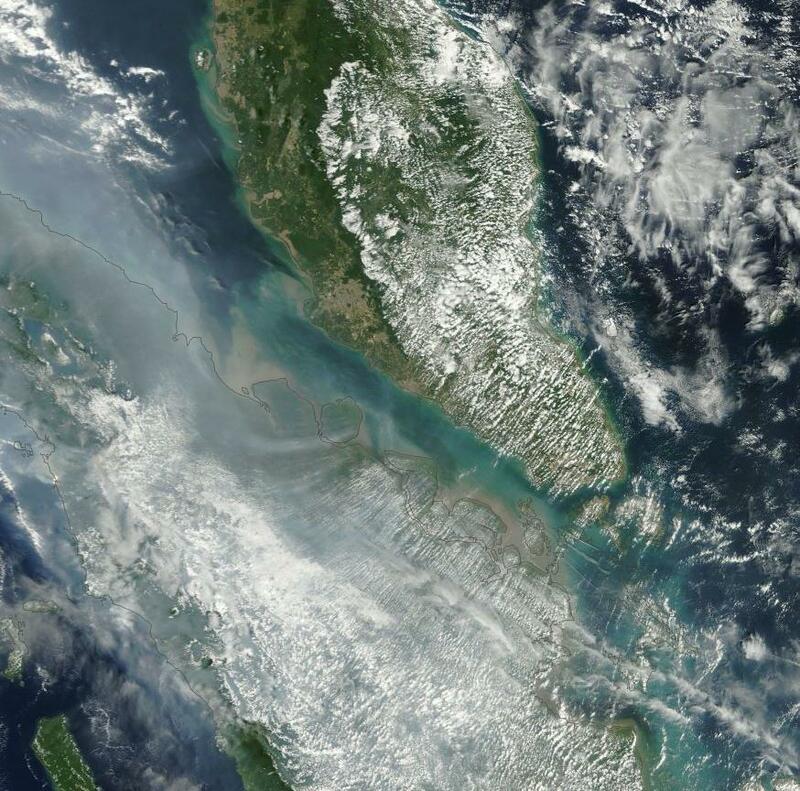 In Singapore and nearby Malaysia, a two month-long heatwave is now among the worst ever recorded for this region. The situation has been worsened as nearby forest fires have combined with industrial pollution to produce a kind of all-encompassing smog. A nasty brew that cut visibility in the region to less than one kilometer. One would think that, with major heat anomalies occurring over the Arctic, the far removed Southern Hemisphere would be somehow insulated from impacts. But whether from far-reaching Arctic influence or simply from other factors related to human-caused climate change, austral regions were among the hardest hit by the, now global, spate of extreme weather events. One of the most significant multi-day heatwaves on record affected southeast Australia over the period from 13 to 18 January 2014. The major area affected by the heatwave consisted of Victoria, Tasmania (particularly the western half), southern New South Wales away from the coast, and the southern half of South Australia. Over most parts of this region, it ranked alongside the heatwaves of January-February 2009, January 1939 and (from the limited information available) January 1908 as the most significant multi-day heatwaves on record. While Australia was sweltering under its hottest summer on record, south-central Brazil was suffering its worst-ever drought. By mid February, Brazil had been forced to ration water in over 140 of its cities. The result is that neighborhoods in some of Brazil’s largest cities only receive water once every three days. During this, extraordinarily intense, period of heat and dryness, untold damage was done to Brazil’s crops. But, by early March, a doubling of prices for coffee coming out of Brazil gave some scope to the damage. January was also Brazil’s hottest on record and the combination of extreme heat and dryness pushed the nation’s water reservoirs for southeastern and west-central regions to below 41 percent of capacity driving utility water storage levels to a critically low 19 percent. In near mirror to the US weather flip-flop, northern Brazil experienced exceptionally heavy rainfall, apparently gaining back the lion’s share of moisture lost in the south and stalling a two year drought affecting north-eastern regions. In combination, these crazy weather extremes are thought to have done nearly $5 billion in damages to Brazil’s crops so far this year, on top of $9 billion in losses last year. Losses run the gambit from coffee to beef, soy, citrus, and sugarcane. It is worth noting that Brazil is the largest producer of all these foodstuffs with the one exception being soy. The same drought impacting Brazil also damaged crops in Paraguay and Argentina with soybeans among the hardest hit. Given the ongoing extreme weather impacts, it is worth noting that world soybean prices are now up by more than 9 percent over the 2012-2013 period with almost all foodstuffs seeing price increases in the global marketplace. The UN FAO food index remained over 200 through late January, a dangerously high indicator that shows numerous countries having difficulty supplying affordable food to their populations. The above list does little justice to the depth and scope of extremes experienced, merely serving to highlight some of the most notable or severe instances. In general, it could well be said that the world climate crisis is rapidly turning into a world severe weather crisis. January and February are usually rather calm months for the globe, weather-wise. So the fact that we are seeing record storms, rainfall, snowfall, floods, fires, droughts, winds, and heatwaves in every corner of the globe during what should be a relatively mild period is cause for serious concern. The shadow climate change casts has grown very long and there is little that has not now been touched by it. But, sadly and unfortunately, even under a regime of full mitigation and adaptation, the worst effects are yet to come. If we are wise, we will do our best to mitigate as much as we can and work together to adapt to the rest. Arctic ‘Heat Wave’ to Rip Polar Vortex in Half, Shatter Alaska’s All-Time Record High for January? 62 Degrees Fahrenheit. That’s the all time record high for anywhere in the state of Alaska for the month of January. 57 Degrees Fahrenheit. That’s the temperature measured earlier this week in southern Alaska. Across Alaska, temperatures are as much a 30 degrees above average for this time of year. This record winter warmth has pushed Alaska’s average temperature, according to reports from Anchorage, to 24 degrees Fahrenheit. By comparison, the lower 48, hundreds of miles to the south, is experiencing average temperatures of 22 degrees Fahrenheit. Though 24 degrees is not typically seen as a heat wave, readings in the upper 50s and lower 60s for Alaska in January may as well be. If these same temperature extremes were occurring during summer, some parts of Alaska would be experiencing a 90+ degree scorcher. What we are witnessing is what amounts to a ten month long warm air invasion of the Arctic, with Alaska at ground zero. Human-caused global warming has resulted in an amplification of polar temperatures well above the typical average. Now the region is experiencing readings that range of 15-30 degrees warmer than normal. 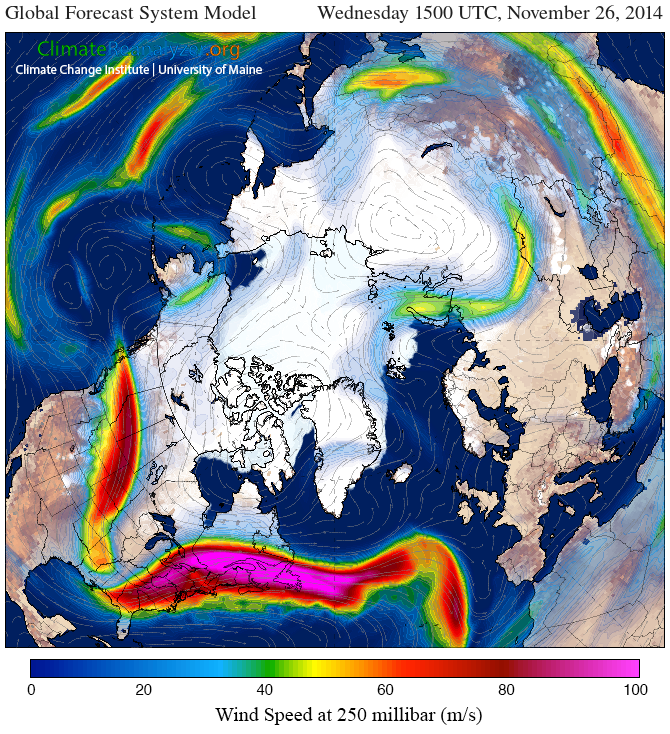 This massive temperature increase (also associated with a reduction of land and sea ice) is causing a weakening in the polar Jet Stream which is allowing more warm air to invade the Arctic from the south. 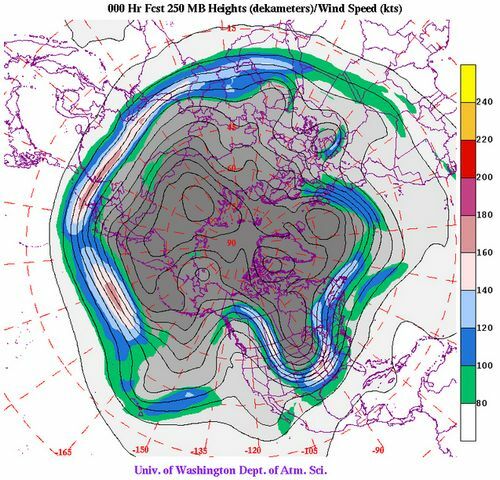 Early last spring, a weakness in the Jet resulted in a powerful and extraordinarily persistent blocking pattern forming over Alaska. Warm air flooded continuously up and over Alaska, occasionally penetrating deep into the Arctic Ocean region. Heat wave after heat wave impacted Alaska, which set numerous all-time record high temperatures during the summer of 2013. 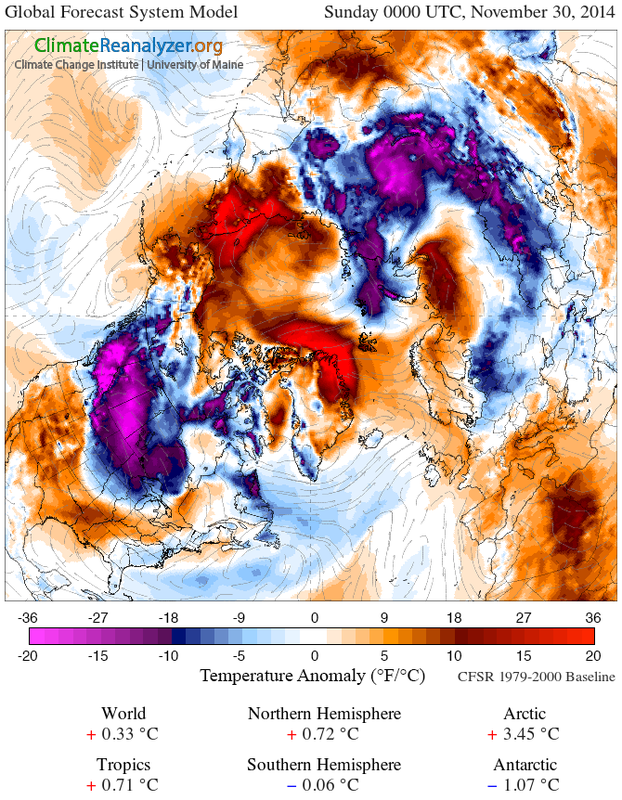 This anomalous heat flooded in and spilled out around the Arctic Circle, disgorging so much hot air that the term ‘Arctic Heat Wave’ became common parlance. Now, this historic and extraordinary pattern has continued for 1o months running. A kind of persistence that may well give new meaning to the term blocking pattern. The wave pattern stretches so high into the upper latitudes that what we are seeing is weather systems more often rise up from the south and travel northward over Alaska and into the Arctic, than proceed in their typical east-west progression. The west-east weather train is broken. And a strange south-north train from equator to Arctic is instead set in place. In the above image sequence, provided by NASA, the heat and associated moisture flow all the way from the equatorial region near Hawaii, up over thousands of miles of Pacific Ocean waters before flooding on through Alaska and into the high Arctic. The extraordinarily powerful and persistent blocking pattern has linked the deep tropics to the high Arctic in unprecedented and anomalous fashion. Especially when one considers that the current pattern has lasted for almost an entire year. This it the kind of extreme weather pattern that Dr. Jennifer Francis warned about. The kind of pattern Dr. Jeff Masters continues to point out in his cutting edge blog — Weather Underground. In my view, we ignore Dr. Francis and Dr. Masters at our risk. Their observations hold true to what is happening now and they are very useful tools for predicting the weather of a world in which human global warming has now become the primary driver of the world’s climate. Without the actual and ongoing context that is human warming, the few meteorologists still associated with climate change deniers scramble to find the increasingly rare analogs in past climate that match today’s extreme weather. But there is no analog to warmest ever temperatures in Alaska and polar temperatures that are now hotter than they were at any time over at least the past 44,000 years. And there is certainly no analog to CO2 levels higher than they’ve been at any time during the past 4.5 million years. For this is the disrupted Jet Stream pattern not only directly responsible for the anomalous Arctic heat Alaska is now experiencing. It is also the cause of colder air being driven out of the Arctic and southward over the US, causing multiple cold snaps and extreme winter weather events in the lower 48. For the warm air influx, both at the surface and at the upper levels of the atmosphere, result in multiple polar vortex collapse events. And we are in the midst of just such a polar vortex collapse now. Over the past week, warmer air has flooded the high Arctic, weakening the polar vortex as the center of cold air began to split and streamed down over the continents. By Monday, these warm wedges of air, driving up over both Svalbard in the east and Alaska in the west, will have completely separated the polar vortex into two disassociated cold centers. In the above image, we can plainly see the much warmer than normal air wedge driving up from the south and over Alaska in association with the now, ten month old, blocking pattern and related Rossby wave feature over the Pacific and North America. A second, albeit weaker, wedge drives in over Europe and across Svalbard. 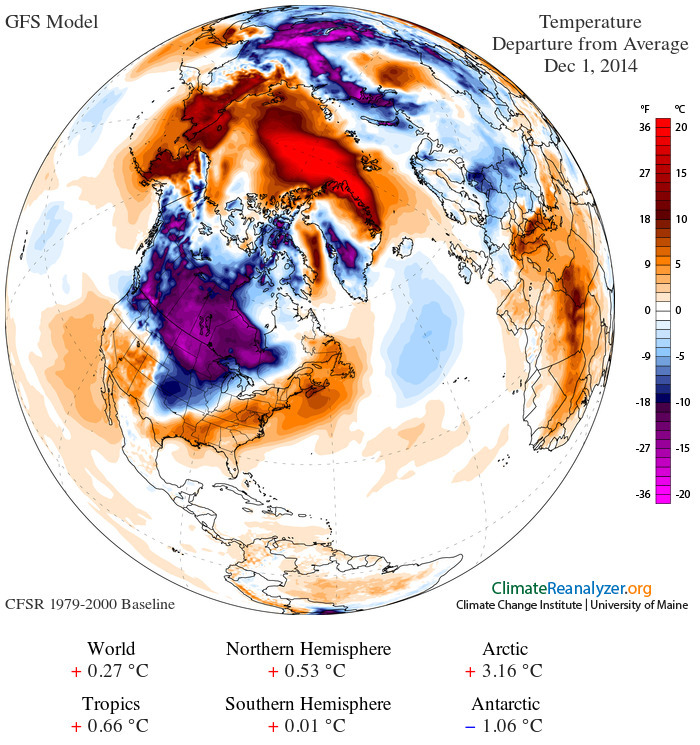 The net result is a ‘pincer’ of warm air invading the Arctic and cutting the polar vortex in half. 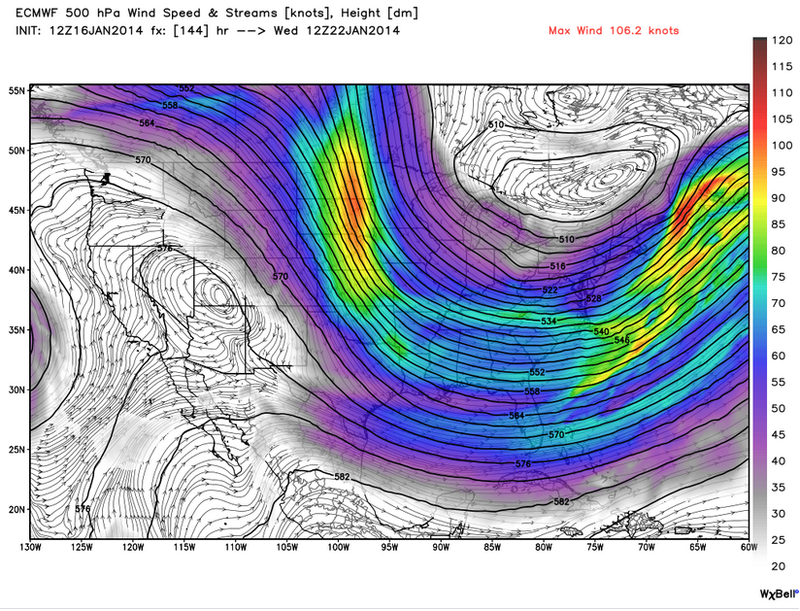 Note that one cold air vortex is predicted to be centered over Eastern Canada near Hudson Bay (Monday). The other is shown to be driven south to Russian Kamchatka near the Sea of Okhotsk. Perhaps coincidentally, this cold air core is very close to the Amur region of Russia and China that experienced a 150 year flood event just this summer. A flood event also associated with anomalous Jet Stream patterns linking polar, temperate, ocean and monsoonal storm patterns (see Song of Flood and Fire and Requiem for Flooded Cities). Under this pattern the Arctic and especially Alaska will continue to experience record or near-record warmth, while the lower 48 continues to suffer the repeated blows of extreme winter weather as the conditions that are supposed to be affecting the Polar region are instead mercilessly driven southward by a human caused warming and polar vortex collapse event. 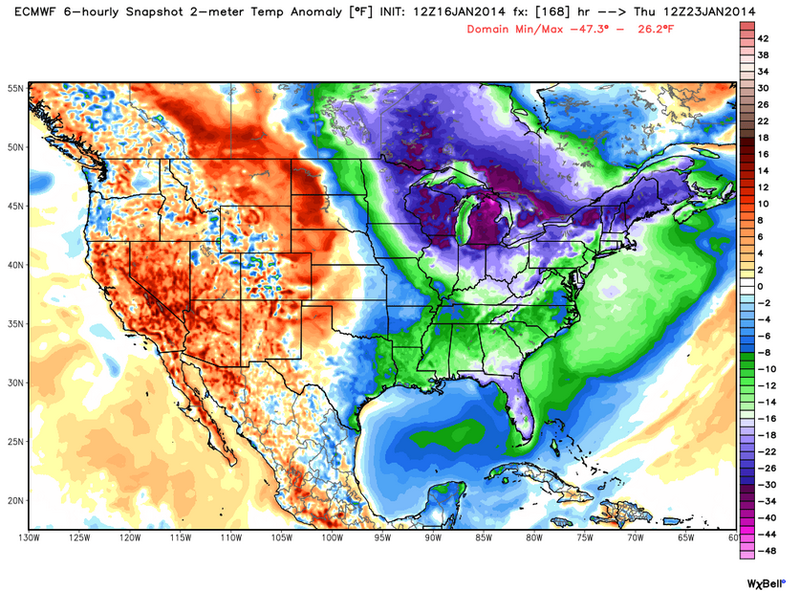 Cold Snap for the US? It’s the Collapsing Polar Vortex, Stupid. Well, the forecast is in. And it appears we are about to receive yet another helping of winter weather extremes driven by human caused climate change. ECMWF and NOAA models both show mid and upper level warmth increasing over the polar region. This warmth, over the next week, will invade toward the surface, collapsing the polar vortex and driving Arctic cold into both Siberia and North America. In the image below, you can see that mid level cold is cut in half by warmth flooding into the polar zone resulting in both the polar vortex collapse and ejection toward southern latitudes all while severely malforming the circumpolar Jet Stream. Note that mid level atmospheric temperatures are about the same over the Central Arctic as they are over Central Europe, a much lower latitude. Also note how the polar cold, typically centered over the Arctic is driven away and further south into two distinct zones — one over Siberia, the other over North America. Already, observations in the high Arctic show temperatures as much as 30 degrees F above average for this time of year and such anomalies are projected to expand as this second vortex collapse of the season progresses. This new temperature flux will make the fixed Rossby wave ridge and trough pattern very intense, forming high velocity upper level wind flows over much of the US. To the north, the Jet will invade Alaska. To the south, it will dig deep into the Gulf of Mexico, bringing cold Arctic air into direct contact with moist, warm tropical air. The result may well be a spectacular and dangerous series of winter storms over the next two weeks for the Central and Eastern US. So you may wish to stay abreast of local weather reports as this most recent collapse series could pack quite a punch while spawning a variety of very extreme weather conditions. The vortex disruption, collapse, and flushing of cold air out of the Arctic and further south is forecast to result in a strong cold snap for the Eastern and Central US. Negative anomalies are projected to reach as low as -47 degrees F below average in some locations near the Great Lakes. According to these forecasts the cold may be about as strong but last a bit longer than the previous cold snap spurred by the early January polar vortex collapse. Meanwhile, strong positive temperature anomalies up to +26 F are expected to dominate the US southwest, a region already suffering some of its driest conditions in a century. Such record warmth is likely to further exacerbate what has come to be a freakish and anomalous period of winter wildfires in the most drought stricken zones along the US West Coast. This kind of extreme weather pattern almost perfectly models predictions by prominent polar researchers like Dr. Jennifer Francis, who projected increasingly anomalous Jet Stream patterns, blocking patterns, meandering, and cut off flows due to the massive Arctic melt having occurred since 1979. The retreat of snow and ice, both on land and at sea, results in more warm air invasions into the high Arctic and can directly spur just the kind of weather disruption predicted in the forecast above. In the trough zones, periodic and powerful cold snaps are far more likely as the polar vortex collapses and cold, Arctic air is flushed south. In these troughs, storms are more frequent and powerful, amped up by the extreme temperature differences and by higher atmospheric moisture content due to overall warming. In the ridge zones, anomalous warmth, drought, and fires are experienced as the over-riding warm, dry air floods up through these regions and into the Arctic. This is exactly the kind of dynamic we would expect from a warming world. From a world experiencing a powerful amplification of warmth in the northern polar zone. Such a pattern will likely continue to intensify until it is disrupted by large melt outflows from Greenland and from Baffin Island. A massive rash of human-warming induced extreme weather sweeps across the US and, not surprisingly, the mainstream media has gotten its climate change messaging somewhat wrong again.. In a rather admirable attempt to show how human caused warming is creating and influencing the recent spate of extreme weather, numerous articles have all implicated the, now much renowned, polar vortex in a massive, 20-year, cold snap gripping much of the nation. Over and over, media reports are the same: Polar Vortex Grips Nation! In all honesty, it’s hard not to chuckle at how the media has gotten the story somewhat wrong. A polar vortex is, in essence, a semi-permanent storm or cyclone that forms in the high Arctic during winter months. The existence of a polar vortex in the high Arctic is a normal condition. And the meteorological features it creates tend to trap colder air in its swiftly circling winds. Such a condition results in very cold temperatures in the far north, while warmer conditions tend to prevail much further south. The net result is keeping Arctic cold locked in the Arctic where it belongs as, usually, the storm centers in the Arctic Ocean near the North Pole. 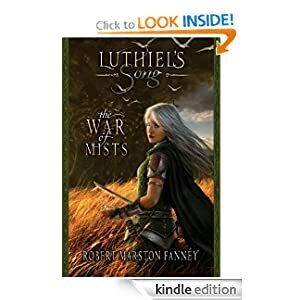 But this winter, as in recent winters, something a bit out of the ordinary happened. 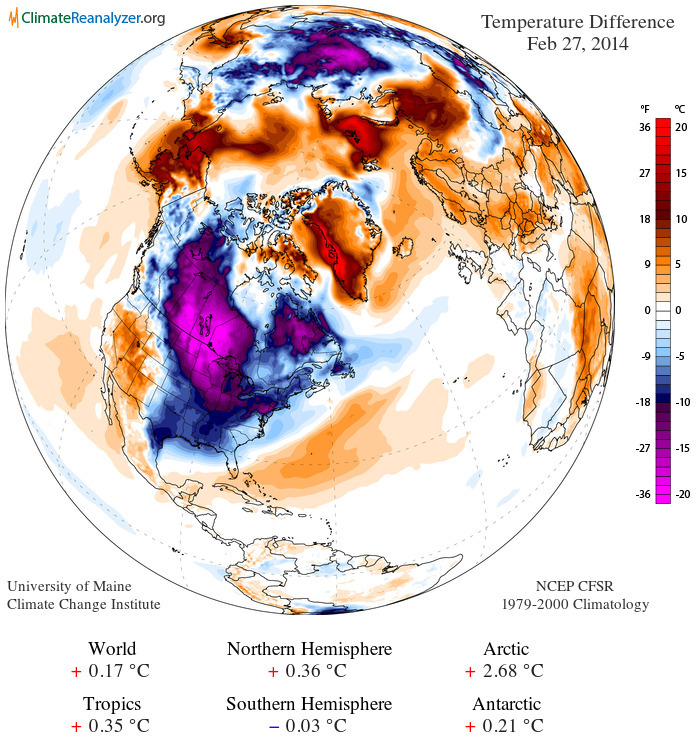 The polar vortex shifted southward as it unraveled, causing the current US cold snap. And since these powerful Arctic cyclones pack quite a punch the related effects have been extraordinary and extreme — powerful winter storms, school and business closings due to the cold, and freak freezing episodes all over the US. All that said, the anomalous movements and impacts of the polar vortex during 2014 are only half of the story. The other half involves how human-caused warming is directly influencing the vortex, altering its course and intensity, pushing it far beyond the limits of its typical Arctic confines. Increasing Arctic heat resulting from loss of sea ice, worldwide ocean warming, and amplifying feedbacks to human warming have opened the door to more and more warm air invasions into the high Arctic. During winter time, the net effect of these warm air invasions is to disrupt the polar vortex, resulting in its more frequent weakening and collapse all while periodically shoving its storm center south. In the current diversion and collapse, the polar vortex was severely disrupted while being shoved into the lower latitudes crossing Canada and the Continental US. The result was a rash of extremes not seen in the US in at least 20 years. As early as 2001, scientific studies had found evidence for a correlation between weakening of the polar vortex and periodic cold conditions in the temperate latitudes (see NASA study here). Meanwhile, further studies (see links below) in recent years established a link between declining Arctic sea ice and Jet Stream configurations that brought on polar vortex weakening and collapse. 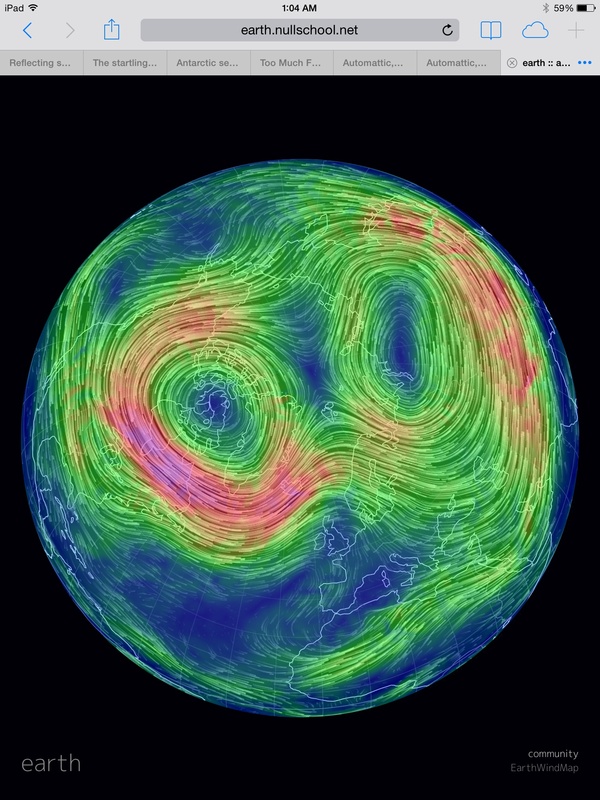 When the polar vortex weakens or collapses, warm air is drawn into its core. This causes an unwinding of the storm system and a displacement of its cold air and energy further south. The storm, as it unwinds, flings a powerful cold front to the south, driving bone-chilling Arctic air into some temperate regions even as the High Arctic takes on an unusual degree of heat (for the Arctic during winter time). Note the prevailing, much warmer than average conditions over much of the Arctic, with cooler than average conditions over the US due to collapse and anomalous movement of the polar vortex. 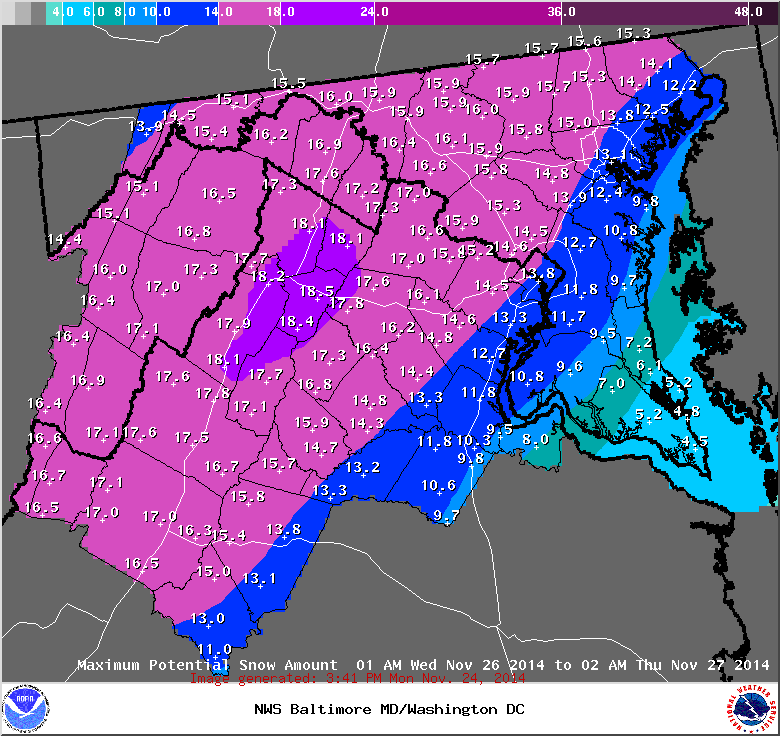 This was the very severe winter storm and extreme weather producing pattern that we warned of earlier in December. Disruptions of the polar vortex have been predicted by climate scientists such as Dr. Jennifer Francis, Dr. James Hansen, and Dr. Jeff Masters, among others, who have warned of more extreme weather caused by, among other things, loss of polar sea ice. 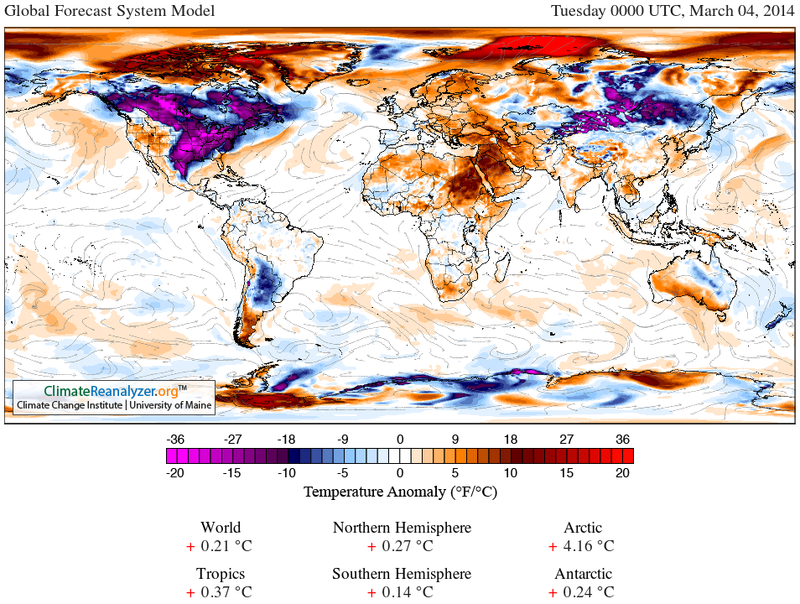 Dr. Hansen, in particular, has warned of very intense storms as Arctic melt continues to ramp up and more of the Arctic’s cold is pushed episodically southward where it will inevitably confront the warming temperate and tropical zones. In the end, Hansen warns of frontal systems packing the strength of hurricanes large enough to span entire continents. These are the powerful effects of continued Arctic warming and of which the current polar vortex collapse is but a symptom. Let us all hope we are not unwise enough to push the climate system far enough to generate the kinds of storms Hansen fears. To that dark and not so distant future, what we are seeing now is merely prelude.